How to collapse the default color tabs in ColorPickerPalette? 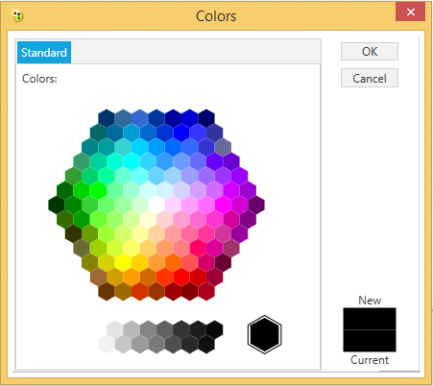 Standard and Custom color tabs of the ColorPickerPalette can be collapsed by IsStandardTabVisible and IsCustomTabVisible properties respectively. The following code examples explain how to collapse the Standard color tab. 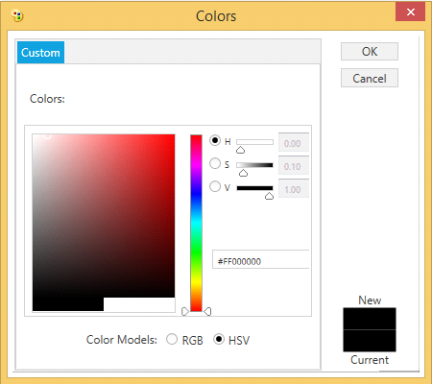 The following code examples explain how to collapse the Custom color tab. The following screenshot shows the output of the Standard tab, collapsed in the ColorPickerPalette by setting the IsStandardTabVisible property as Collapsed. The following screenshot shows the output of the Custom tab, collapsed in the ColorPickerPalette by setting the IsCustomTabVisible property as Collapsed.